There is a mammal of Sri Lanka that can weigh up to 900 kg and grow to 3 metres in length, yet one that is rarely seen and whose local population teeters on the edge of extinction. In fact, records indicate that herds in their hundreds once swam off the North Western shores of the island. Today, we only know of them from an occasional report of a fisherman, or when their tortured bodies are dragged in with a day’s catch. Hunted unmercifully, over the centuries, and referred to as a mudha ura in Sinhala/kadal pandi in Tamil, the dugong has been persecuted, neglected and ignored and is about to disappear forever! Ironically, the dugong is the only living representative of the Family Dugongidae. Its closest modern relative, the Steller’s Sea Cow, was already hunted to extinction in the 18th century. A gentle herbivore, that occasionally eats invertebrates, dugongs can live to the biblical span of three score years and ten (70). Yet, in Sri Lanka, we continue to treat them “…in the interests of the kitchen”, stealing them from Nature’s ever-decreasing larder that will soon be bereft even of their number…that is unless we do something about it, and soon. Someone who is, is Dr. Steve Creech, a marine biologist, fishery scientist, activist and a Director of pelagikos. pelagikos was set up to provide administrative, management and technical services to the Seafood Exporters’ Association of Sri Lanka. Since 2015, pelagikos has been working with Sri Lankan fishermen, fishworkers, boat owners, agents, seafood manufacturers and government authorities, as well as with marine conservation organisations in North America, to promote sustainable, socially responsible and economically equitable Sri Lankan seafood. A fishery’s ecological impact on non-target species, in particular endangered, threatened and protected species is a critical component of international rating/certification programs for ‘sustainably sourced seafood’. Concerns raised by the Monterey Bay Aquarium’s Seafood Watch Program about the risk posed to dugongs by blue swimming crab fisheries in the Gulf of Mannar and Palk Bay, led to Pelagikos conducting research with fishermen in both fisheries. 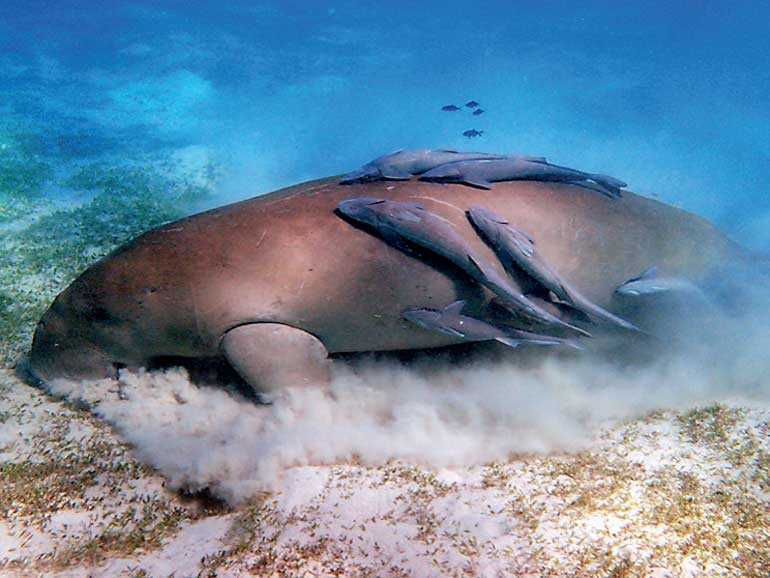 The results provide an insight into the level of risk posed to dugongs by small scale crab fisheries off the northwest coast of Sri Lanka and suggest how accidental deaths of dugongs due to coastal fisheries could be reduced in the future. 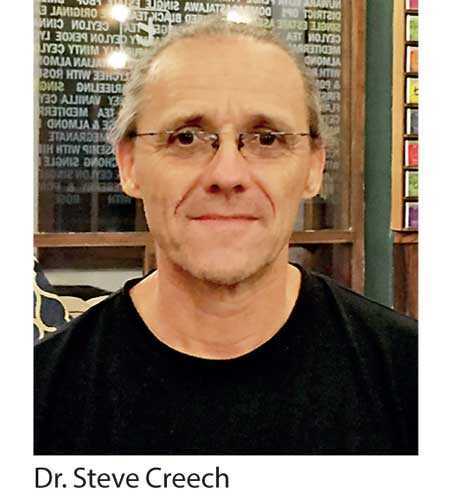 Wildlife & Nature Protection Society is happy to announce that Dr. Steve Creech will be presenting the June instalment of its monthly Lecture Series on 21 June, at the Lotus Hall BMICH starting at 6 p.m. The WNPS Public Lecture is open to all members and non-members. Free entrance. Elephants, leopards, sloth bears, whales, dolphins, even sharks attract the immediate attention of all and their possible destruction elicits howls of outrage calling for their protection. Yet, the Dugong, this gentle creature of the shallows, gets a hardly a whimper as we drive it into the abyss of no return. Let’s learn more about this wonderful creature, and fight for its preservation…or forever bear the curse of being the executors of its extinction. “The good inside of all of us is wrapped in a layer of apathy, and we forget how much potential we have within us, in each and every one of us, to change the world for the better for ourselves and our children, and thus to bring about oneness.”: Shari Arison.